GCC spec vehicle with 6 cylinder engine, blue interior and automatic transmission. BMW 520 2016 GCC under Warranty with Zero downpayment. GCC spec 2016 BMW with CD player, 18″ wheels and Tuner/radio. Price reduced! GCC spec 2016 BMW with Air conditioning, 18″ wheels and Airbags (front and side). Price reduced! White 2018 4 cylinder sedan. Tan interior. It has parking sensor front and climate control. White 2018 sedan for AED 173,000. Beige interior. It features climate control, 18 inch wheels and LED headlights. Grey/Silver 2015 4 cylinder sedan. Brown interior. It has bluetooth system and CD player. GCC spec white sedan, beige interior with CD player, LED headlights and a 4 cylinder engine. GCC spec BMW 520 with Parking sensor front, 18″ wheels and CD player. Price reduced! Opportunity! A 2018 black BMW 530 i M Sport(REF NO. 14053) now available at a reduced price. 2019 BMW 530 with features such as sunroof, cruise control, keyless go. It has beige interior and is Black. GCC spec. 6 cylinder black 2018 sedan. Beige interior. Tuner/radio, 18 inch wheels and keyless go. Opportunity! A 2018 grey/silver BMW M5 / GCC Specifications / 5 Year Warranty / 8 Year Service Package now available at a reduced price. Automatic, 17 inch wheels, air conditioning, sunroof, beige interior, grey/silver exterior. Price: AED 113,500. Black sedan with tan inside. It has tuner/radio and parking sensor rear and has 18 inch wheels. Grey/Silver 2018 sedan. Brown interior. It features parking sensor front, 18 inch wheels and cooled rear seats. This is a white sedan with brown inside and CD player, airbags (front and side) and 18″ wheels. Opportunity! A 2015 black BMW 520 i now available at a reduced price. Reduced price! Black BMW 540 i M Sport(REF NO.13034) from 2018 with tan interior. Grey/Silver 2014 sedan for AED 99,000. Brown interior. 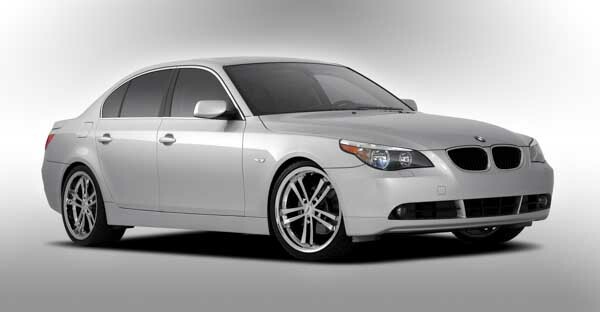 It features tuner/radio, 19 inch wheels and DVD-player. 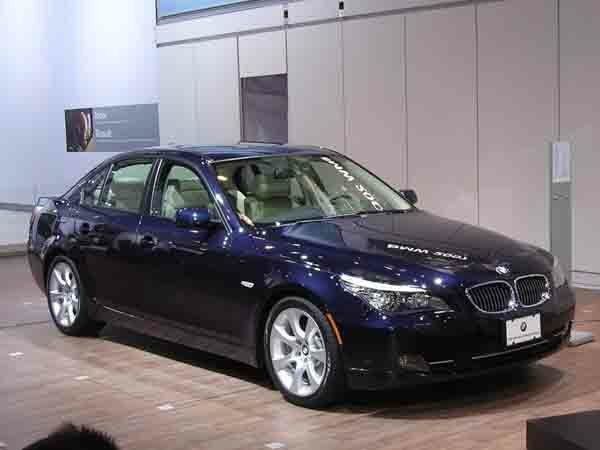 Imported spec BMW 530, black sedan with black interior. It features power seats with memory, 18 inch wheels and fog lights. Price: AED 26,000. Automatic, 18 inch wheels, leather seats, CD player, beige interior, black exterior. Price: AED 173,000. Blue 2006 sedan. Beige interior. It features power locks, 17 inch wheels and airbags (front and side). 2018 BMW 520, price AED 173,000, white sedan, beige on the inside with leather seats and DVD-player. 18″ wheels. Angus - 530 i, Great cars and prove that German manufacturers really know how to make robust vehicles, some slight mishaps with various components possibly due to age otherwise it’s a fantastic car. Pros: Robust, resale value and stylish. Cons: Tyre pressure sensors is inaccurate at times. 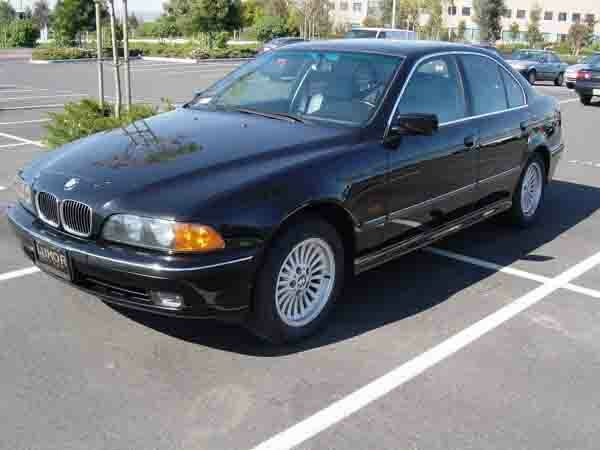 Karam - My second hand BMW 528i, comfortable car for long journeys, good a/c and clean exterior. Small trim bits keep falling off not matter what glue I use. Pros: Air con and comfortable seats. Cons: If you are tall don’t sit in the back. Khalid - Pre owned M5 is a fantastic car; it has anything anyone would ever need. Lots of power underneath the bonnet and looks amazing. No car can beat it! Engine choice, whether you want a 4-cylinder or an 8-cylinder, the 5 series offers both and everything in between. Even though it’s a mid level sedan in BMW’s hierarchy, it’s still luxurious. Maybe not as much as the 7-series but it’s got all the right features. If you are looking to buy used 5 series model in Dubai, UAE, there are plenty on offer. Import or GCC you’ll find one with easy and for a good price. They do just as well in export markets too. Older generations have their power sent to the rear wheels. In later generations, x Drive was offered to power all four wheels which deliver better traction. They are traditional meaning to buy used 5 series in Dubai, UAE and selling one is easy, as at least 1 in 10 people want one. Debuting in 1972, the 5 series was BMW’s middle-class sedan. 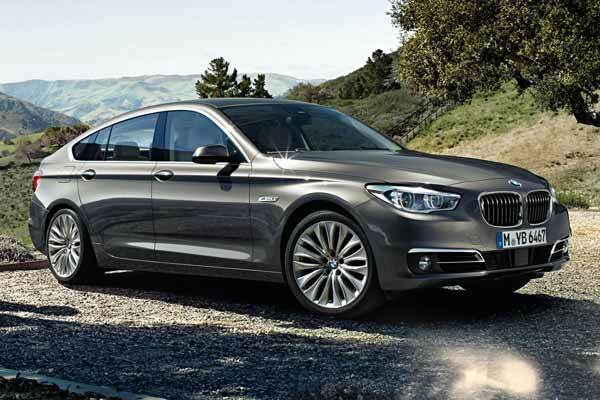 Over 5 million 5 series models have left the factory and are the German’s manufacturers second best-selling models. Over the years, it’s formed many guises including the everlasting sedan, convertible, station wagon and coupe. Six generations have gone by offering plenty of luxury it shocked its rivals with its sophisticated looks and feel which includes the Audi A6, Lexus IS Series and the Mercedes E Class. With traditional German styling applied, they weren’t head tuners during this time, but they got the job done. Standard features include fabric seats, air-conditioning, radio tuner and power seats. Higher trim levels came with sunroofs, memory seats, CD/player, digital A/C and traction control. In 1999, the wagon shape was introduced to appeal to those who wanted more boot space. This year included brighter xenon headlights and park distance control as standard to all models. Two of the engine options available are an inline-6 2.8-litre and a 4.4-litre V8 motor powering the rear wheels. Transmissions included a 5-speed manual or automatic. Receiving a makeover to it’s exterior, five models were available; 523i, 525i, 530i, 530xi and 545i as well as two diesel models. Interior options remained similar with a few more transitioning to standard such as the iDrive system. Extras included a heads-up display, active cruise control and high-end sound system. 2006 introduced to the world the mighty M5 sedan. With power and looks, BMW accelerated past its competitors. The reason behind their massive power is a V10 5.0-litre petrol engine powering the rear wheels via a 7-speed auto-manual transmission. Standard features included traction and stability control, Harmon Kardon sound system, LED rear lights, adaptive xenon headlights, adaptive cruise control and lane departure warning. 5-speed transmissions were stripped out and replaced by 6-speed ones instead. Manual or automatic, they are mated to one of six engines; three inline-6 models with either 2.5-litre or 3.0-litre motors, a single V8 4.4-litre petrol motor and two diesel engines with 6-cylinders a piece. Drive from the engines is sent to either the rear wheels or all four wheels. 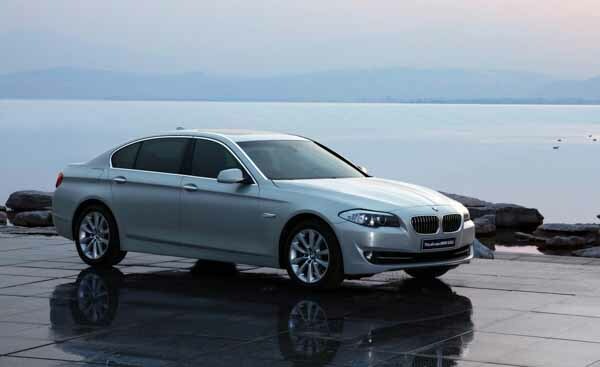 With a revised look to the exterior, they 5 series remained popular in the UAE. Now equipable with optional extras such as rear TV screens, heads-up display, enhanced audio system, active cruise control, cameras and a drive mode selector with sport, sport+, comfort and standard modes, it still proved stronger than its rivals. M-kit packages were made available which add individual trim bits and sports suspension. 2010 introduced the GT badge, added to the 535i and 550i and a whole new shape. Added to the lineup and distributed to markets where the wagon wasn’t popular, it featured all the same interior options as sedan models; it added extra headroom in the back and more boot space. Seating inside is available for four or five passengers. The M5 also returned with all the familiar specs and brutal engine. Powering the sedans and crossovers are a variety of engines; two 2.0-litre twin turbo inline 4-cylinder, 3.0-litre inline-6 and the 4.4-litre turbocharged V8 motor. The 6-speed automatic transmission is upgraded to an 8-speed automatic one instead. No xDrive models are offered in Dubai and the rest of the GCC, you’ll have to import one in this generation. Refreshed once again in 2011, a new sharper body was attached to the chassis. Minor changes were made inside with all standard features returning, and the list of optional extras remain identical. Gran Turismo or GT models received the same enhancements and similar standard and additional features. 520i models joined in as the baby of the bunch. All engines returned for another few years. Transmission and displacement remain identical throughout with minor changes to outputs across the range. M5 models skipped 2011 altogether and ditched the V10 for a turbocharged V8 4.4-litre petrol motor. A seven-speed auto/manual gearbox powered the rear wheels. Standard features include heads-up display, BMW iDrive control, parking sensors, reverse camera, active cruise control and a unique body. Once again the entire body is reworked for a more up-to-date look to fit into the modern era. Still rolling high as best in class, the sedan proved popular among drivers in the UAE. Inside bits and pieces were reworked to keep up with the exterior. Engines return for another round to power the sedan with slightly better fuel economy this time around. Both the M5 and 535i GT and 550i GT models returned alongside the standard sedan for a few more years. With an all-new exterior, the BMW 5-series enters anotehr generation bareing a slight resembelence to the larger 7-series. New curves are instanlty recognisable on either side of the vehicle. Built on an all new platfrom, 100 kilos has been lost with 70 of those kilos from the chassis alone. Even though it's lost weight, the 5-Series is bigger, wider an taller than before with extra legroom in the rear for passengers. While exterior features remain similar to previous models, what the German brand has thrown inside is certain to fill sales cretiera's. Autonomous driving, gesure control, voice operated components, ParkNow, and a host of extras. M Kit's are available and add extra parts to ones vehicle giving them an aggressive appearance inclusive of side skirt trim, front and rear bumpers, exhasut system, lowered ride, 19-inch rims on each corner plus a unique set of interior options. Powering the rear wheels as standard is a choice between a 2-litre inline four or 3-litre straight six cylidner motor. Both are turbocharged and rated at 248 and 335 horsepower respectivley. Diesel options are available as is an all-wheel drive train with both manual and automatic gearboxes available. After the 2017 BMW 5-Series launches early next year, a plug-in hybrid 530e model is to join the line up with a 2-litre four cylidner motor paired with an electric motor. 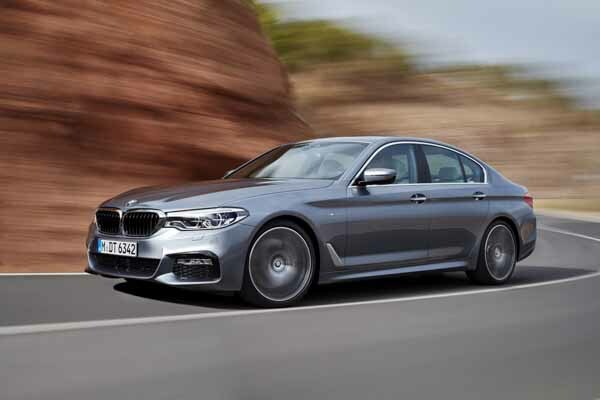 A V8 4.4-litre motor is also destined to power the M550i XDrive with a total output of 455 horsepower enabling a 0-100 km/h time of just 4 seconds. Quikcer than the previous generation M5, but we expect a new one of those to launch in late 2017 to blow to thop of the food chain once again.